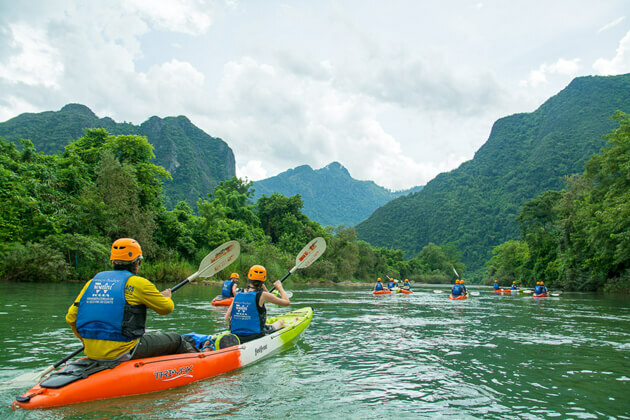 Discover the beauty of Lao nature, landscapes, and culture with our grand 20-day Laos tour where we take you on an amazing trip to the best attractions in Laos. 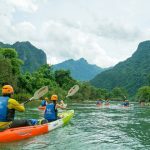 You get the chance to experience a colorful Laos from the perspective of a true local as you take part in exciting activities and visit the most famous destinations as well as lesser-known places to gain a deeper understanding of this stunning Southeast Asia country. 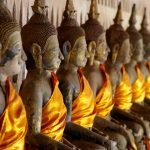 With this extensive Laos tour, you can experience everything that you can expect from an insightful tour and more! Upon your arrival, you will be welcomed by our guide and transfer to the hotel for check-in and relax. After breakfast at the hotel, you will spend the whole day sight-seeing. 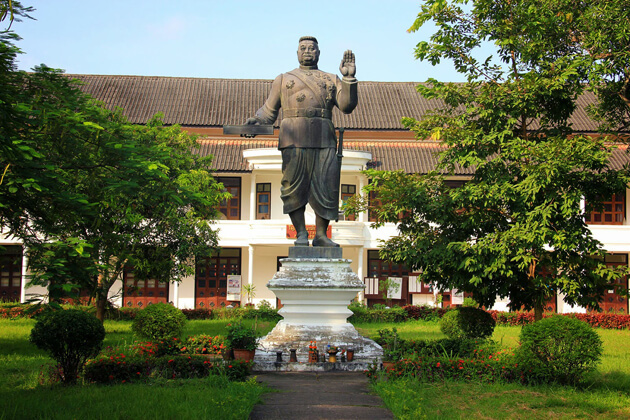 Begin with a visit to the Royal Palace Museum, which hosts a wide range of interesting artifacts, we then embark on a short-guided sight-seeing tour to the city’s oldest temple as well as the gorgeous Wat Xiengthong, a temple with a unique set of roofs that sweeps low to the ground, representing classical Laotian architecture. 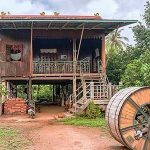 We also stop by the Arts and Ethnology Centre to learn about Laos’ ethnic cultures and its diversity before heading out of town to see the weaving villages of Ban Xiengkhong and Ban Xienglek. 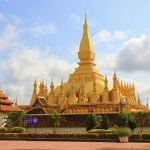 Then, return to the city to visit Wat Mai before climbing up to the top of Mount Phousi to explore the sacred, gilded stupa and take in the panoramic view of the city at sunset as well as the overwhelming sight of the Mekong River. 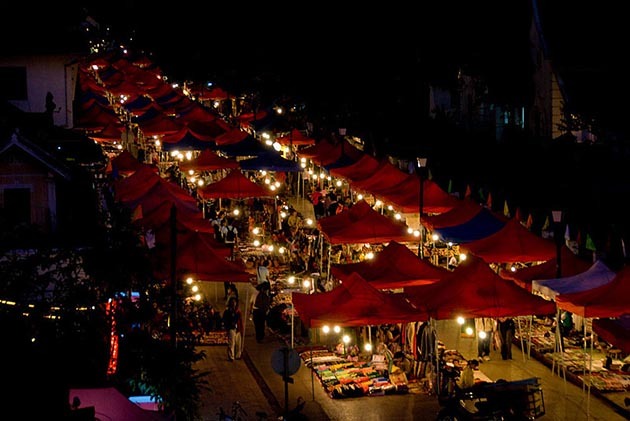 At the end of the day, pay a visit to the colorful Night Market where you can find lovely collections of handmade textiles made by locals and hill tribe people surrounding Luang Prabang. 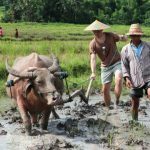 After having breakfast at the hotel, you will spend the morning on a rice farm situated in the idyllic countryside that is surrounded by mountains and rice paddies. 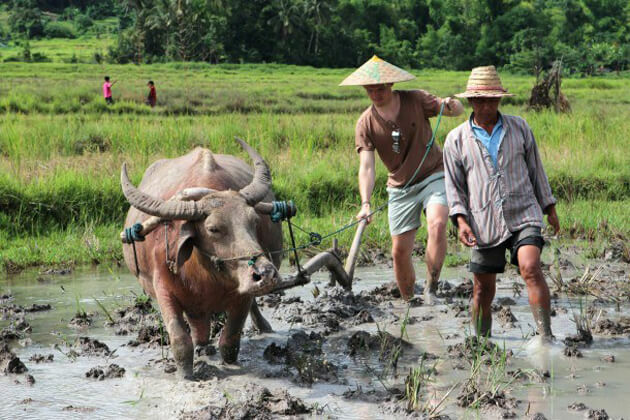 Get the first-hand experience of what it’s like to be a farmer and take part in some exciting activities, or just view it all from the balcony of a comfortable Lao rice house, overlooking the nearby rice terraces and organic vegetable farm. The scenic landscape here provides great photo opportunities. 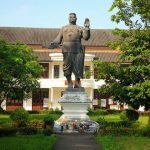 Meanwhile, spare some time to visit some local handicraft workshops such as bamboo weaving, blacksmith and sugarcane processing. Finally, have a tour around the organic garden to learn about how natural herbs are used in traditional medicine. Then have lunch at the rice farm. After lunch, we transfer to Khouang Si waterfall. Stop en route to visit the Lao ethnic minority groups at Ban Ouay Village, Ban Ou village, and Ban Thapene Village. 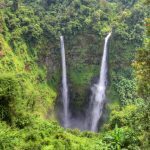 When you arrive at the waterfalls, take a refreshing hike through the national park towards the Khouang Si waterfalls, passing by the Asian bear rescue center. 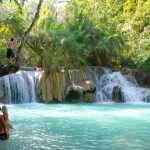 This is a great place to cool off, whether you want to relax under the shade of the lush green jungle or dive in the cooling and turquoise water of this amazing waterfall. 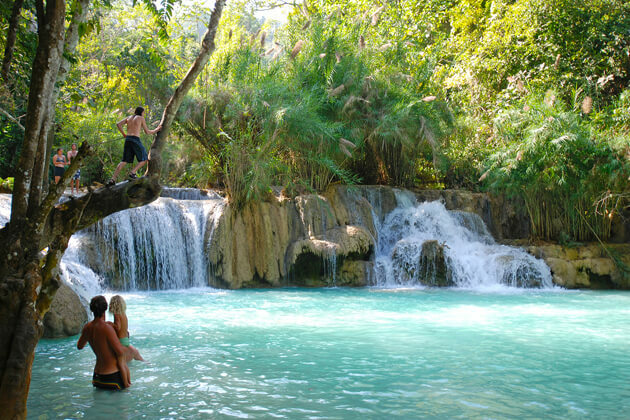 After that, transfer back to your hotel in Luang Prabang. This is the most exciting day of the trip for a reason since our most wanted activities are packed into a single day trip. Get ready to be a Mahout for a day and get wet as you plunge into the Nam Khan River and give your personal elephant a refreshing bath! • Elephant Ride: enjoy an exclusive experience of a 3 km elephant ride on the howdah (elephant seat) or on your elephant’s neck! An elephant can carry 2 people. 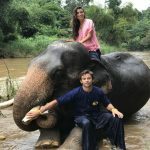 • Mahout Training: Learn the basics of how to control an elephant! 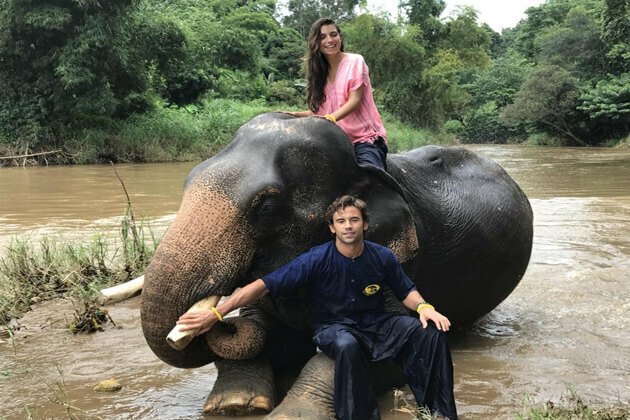 • Bathe Your Elephant: Take your elephant down to the Nam Khan River for a bathing experience of a lifetime! 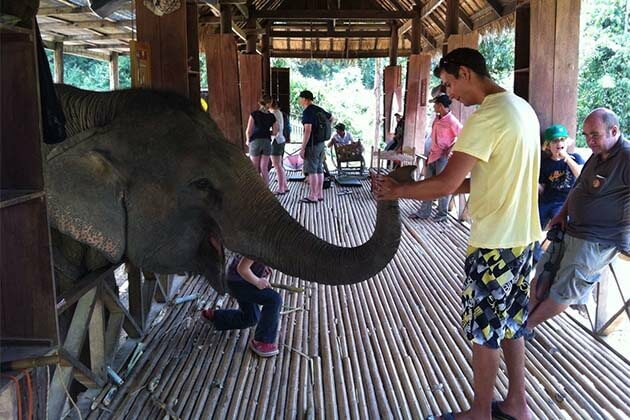 Your tour includes roundtrip transfer, English speaking guide, elephant ride, boat ride to the Tad Sae waterfall, waterfall entrance fee, basic mahout training, bathing your elephant, buffet lunch. 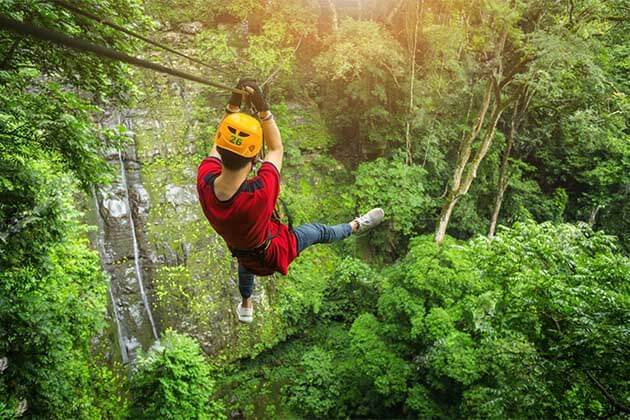 Notes: schedules and itineraries are approximate and subjected to change due to seasonal conditions in the jungle and at the camp. Elephant Village reserves the right to break larger groups into smaller groups and/or operate tour activities in a different order than published above. After having breakfast, we head out of town and take a cruise up the Mekong River. 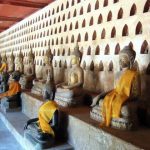 Enjoy the tranquility of Lao countryside before arriving at the mysterious Pak Ou caves that house thousands of Buddha images of all sizes brought in the caves by pilgrims. Along the way, we also stop by the village of Ban Xanghai to watch people making rice wine before continuing on to the riverside town of Pakbeng. We will reside in Pakbeng overnight. After breakfast, we visit the local market where many hill tribe people come down from the valleys and hillsides to trade. After that, hop on the boat again and head to HoueiSay, which is the neighbor of the famous Golden Triangle. It’s a long cruise, but the peaceful view along the river bank can definitely make it up. After that, transfer to your hotel for check-in and relax. 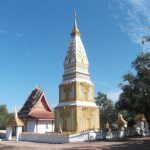 Today we will explore Houixai before we head to Luang Namtha and also stop on the way for visit local hill tribe village before we reached Luang Namtha then check in and take a short rest before we will explore Luang Namtha. 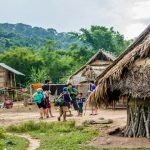 We leave Luang Namtha in the morning and drive southwards to Ban Chaleunsouk, a Khmu village and also the starting point of our trek. Pick up a village guide along the way to help make this 8 to 10 km trek not too difficult. Along the way, we will cross some lovely streams while being shielded away from the sun by the dense canopy of the forest and its refreshing shade of green. 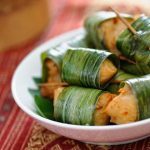 At noon, we will have a picnic on the site with traditional Lao foods, all the while enjoying the music of bird songs and chirping cicadas. After lunch, drive to an open rice paddy field for some exotic photo opportunities. 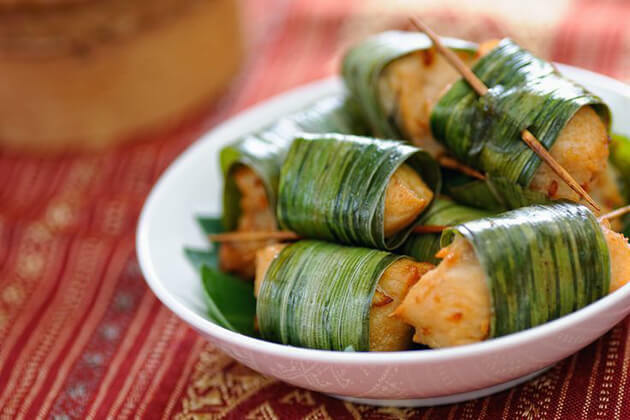 We may stop by some villages such as a Lanten village to witness the making of bamboo pulp and Ban Pieng Ngam village to look at traditional cotton and silk. 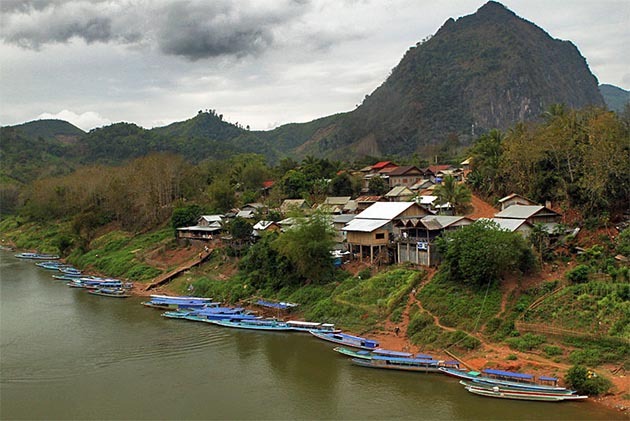 Today, we drive to Nong Khiaw and stop at Udomxai to explore before arriving at the hotel to check-in and relax. 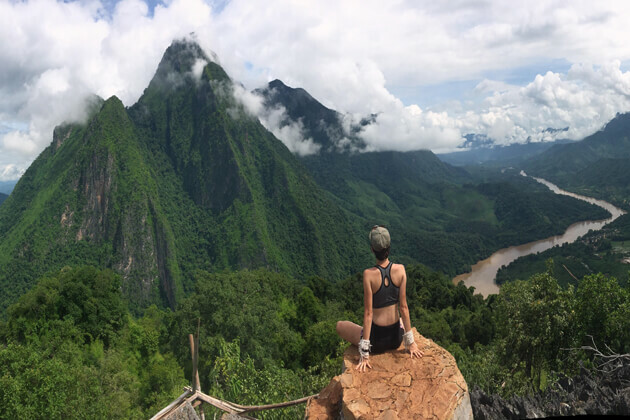 After having breakfast at the hotel, we will explore Nong Khiaw, visit Tham Pha Thok, and also trek to the viewpoint to take in the beauty of Nong Khiow before heading to Luang Prabang. Upon arrival, check-in and relax. Today, we drive 306km up a mountain to get a panoramic view of the wonderful natural scenery before reaching Xiengkhouang. 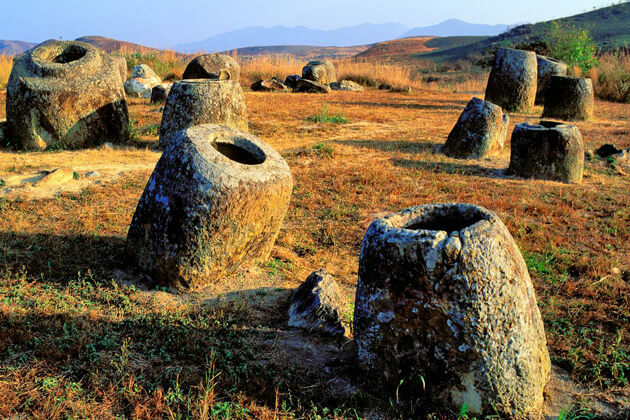 Upon arrival, we pay a visit to an impressive archaeological site – the Plain of Jars. 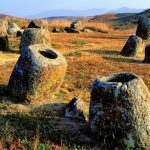 Once here, you will find hundreds of large stone jars scattering all over the plateau. 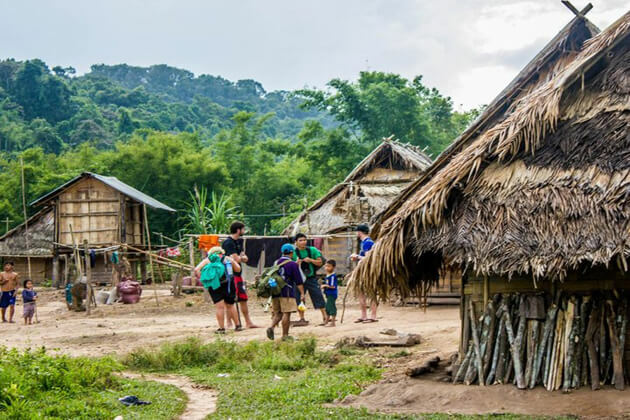 If there’s still time, we will stop by the old capital of Muang Khoun and its surrounding villages to learn about the daily life of Hmong hill tribe people as well as their culture and colorful history. Early in the morning, we visit Phonsavanh Central Market to see hill tribe people selling their merchandises. Then, we head to Vang Vieng. En route, we stop to visit the Buddha image housed in the ancient site of Thampra and many Hmong minority villages along the way. After checking out many photo spots, we continued to drive, enjoying the beautiful natural scenery of the mountains, forests, and landscapes. 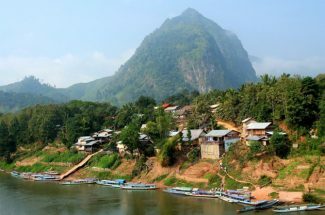 The journey will take us through the mountains until we arrive in Vang Vieng. Then, check-in and rest a little before we take a long tail boat to the Nam Song River to visit the mulberry farm to taste the strawberry tea before returning to the hotel and relax. 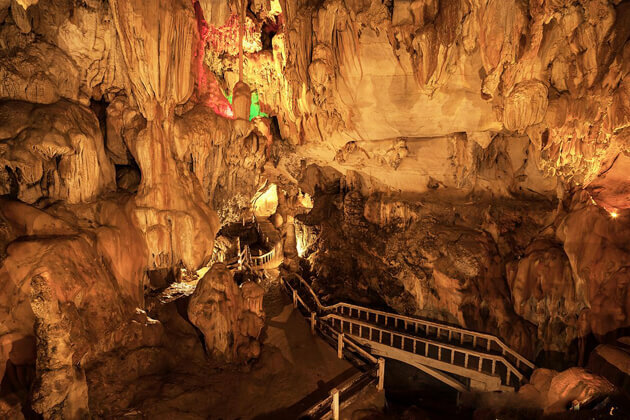 Today, we will visit Tham Jang Cave before heading to Vientiane. 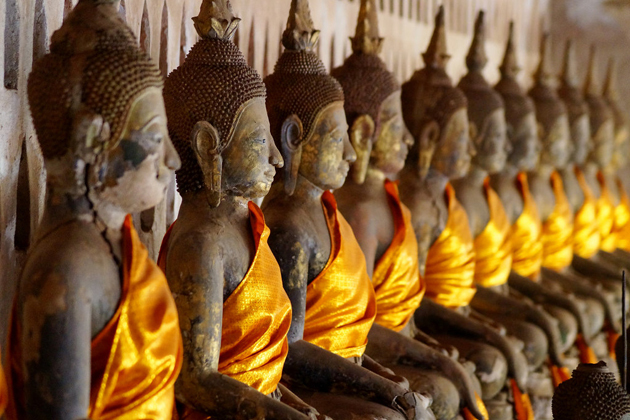 Once arrive, check-in and relax before visiting Wat Sisaket, the oldest temple in the city. 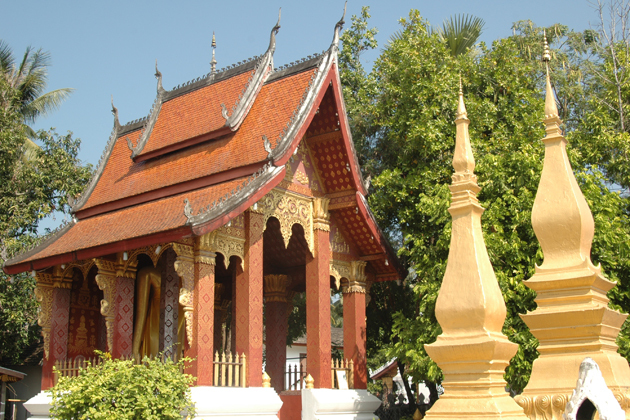 Built in the year of 1818, Wat Sisaket has now become the most important heritage temple in Laos. 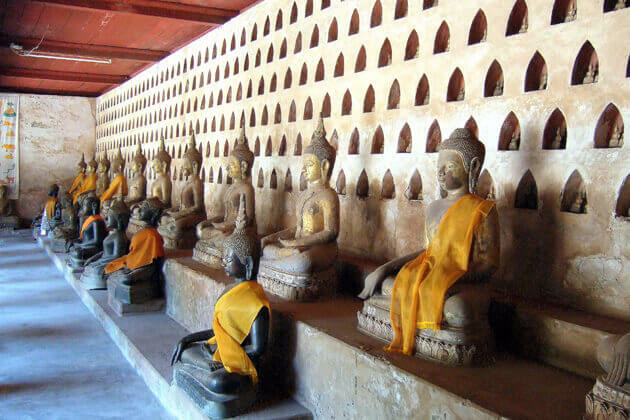 It contains thousands of Buddha statues dating back countries ago as well as ancient sculptures, and paintings; Wat Prakeo, the former royal monastery of the Lao monarchy and built in 1565, is home to the Emerald Buddha image and Buddhist sculptures displayed along the surrounding wall, including a Dvaravati stone Buddha dating from the 6th to the 9th century. On the way to That Luang Tower, stop for some pictures of the mighty Patuxay Monument, Vientiane’s own version of Triumphal Arch. 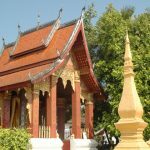 In the morning, our guide and driver will pick you up from Vientiane Hotel and head south along Route 13. 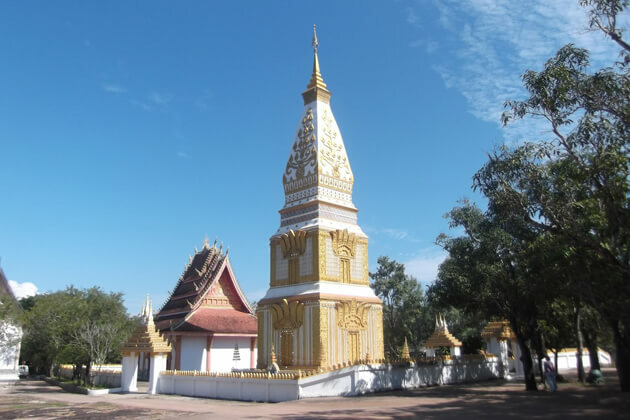 On the way, we stop by Prabhat Ponsan, a stupa of a long lost time that is famous for the ancient Buddha’s footprint, making it the most important religious site in Laos. 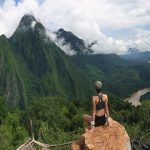 After lunch, we continue into Khammoune Province and stop at a scenic spot near Khoun Kham to take in the spectacular view of the surrounding area. 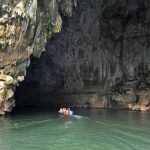 Finally, we go to Ban Naphouak before heading to Sala Hinoun, passing by beautiful limestone karst landscapes, as well as some villages with curious and welcoming children. We reach Sala Hin Boun in the late afternoon where we spend the night. The rest of the day is free at your leisure. After having breakfast, we leave Sala Hin Boun for some exploration. 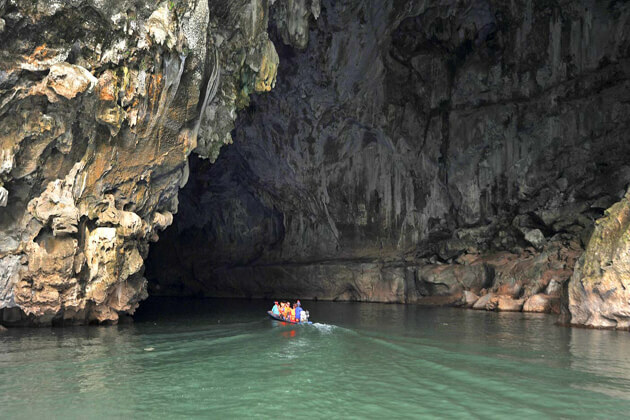 Hop on a boat to travel upstream to the village of Kong Lor before boarding a smaller boat into the famous Kong Lor Cave. 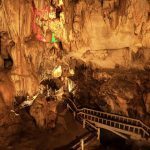 The cave covers the length of more than 7km and rises as high as 100m. After lunch, you will stop by a secluded village on the other side of the cave before heading back to Sala Hin Boun just in time to catch the stunning sunset. 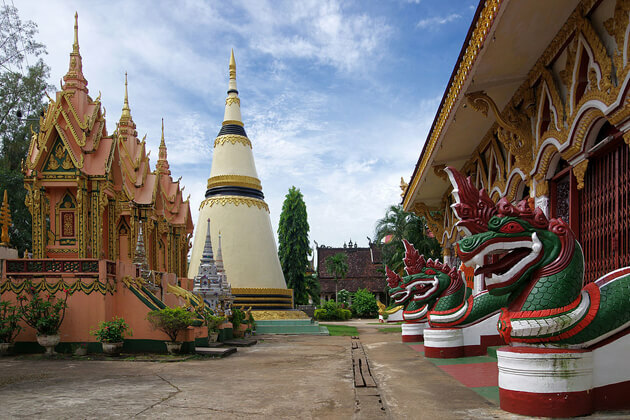 Today, we venture to the South to explore Pakse, known as the capital of Southern Laos. On the way, stop by Savannakhet to have lunch. 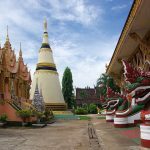 We reach Pakse Town in the middle of the afternoon and have time to wander around and get a first impression of the place. 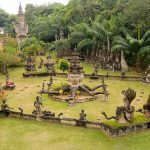 Today, we head to Champassak and visit the fascinating ruins of Wat Phuian, Wat Phu, one of the most dramatic temples located in Southeast Asia. 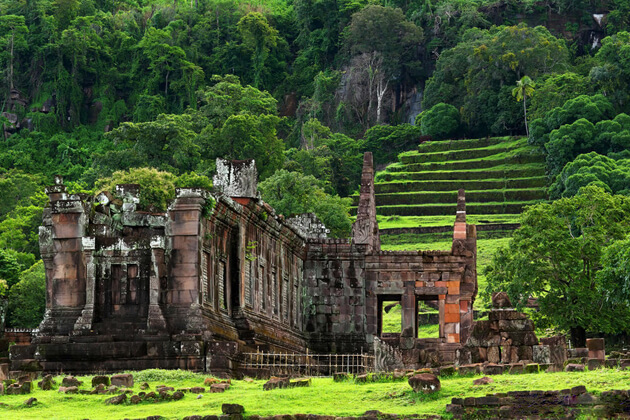 We dedicate the whole morning to explore these fascinating Khmer ruins, begin with Wat Phu. 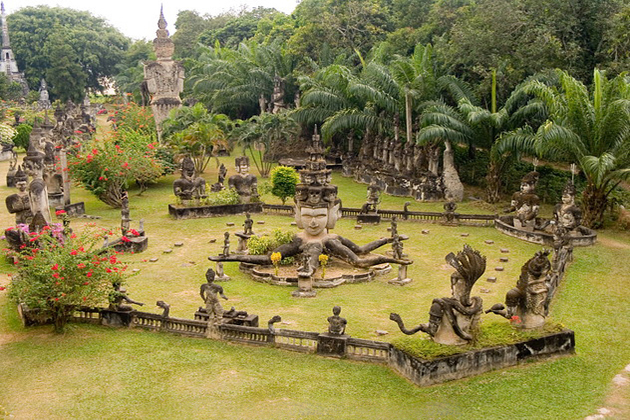 It is one of the World Heritage sites of Laos recognized by the UNESCO in 2001. 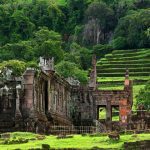 Dating back to the 10th century, it’s even older than the famous Angkor Wat in Cambodia. 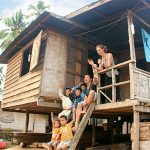 We continue our journey by road to Ban Hatxaikhoun and take the ferry across the Mekong to Don Khong, the largest island in the South Mekong region known as the 4000 Islands, one of the most beautiful areas in Laos. We will have breakfast early in the morning before heading out to explore the local villages of Ban Khone, where you can find a series of monuments from the French colonial period and what remains from the old colonial past, including the former colonial buildings of France and the ruins of the first Lao railway. 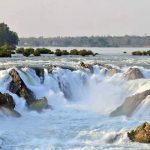 We then go on to explore the 4000 islands area by Tuk Tuk and visit Liphi Falls, one of the most beautiful waterfalls marking the border of Laos. If we are lucky, we can see the Irrawaddy Mekong freshwater dolphin at Ban Hang Khone. 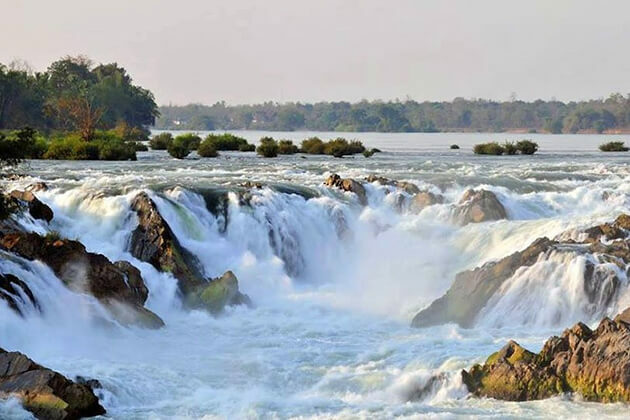 After that, return to Ban Nakasang and drive to the famous waterfall of Khone Phapeng, the largest waterfall in Southeast Asia to relax and cool off. Today, we leave Done Khong Island and continue our journey to Tadlo, passing through the Boloven Plateau, which is known for its cool temperatures. The river flows out of the plateau in all directions and then plunges into lush forests to form a series of majestic waterfalls. A trip to the plateau offers a refreshing break from the heat of Laos and allows you to observe the abundance of coffee growing, tea, cardamom, banana, and other crops that can be seen on the road. 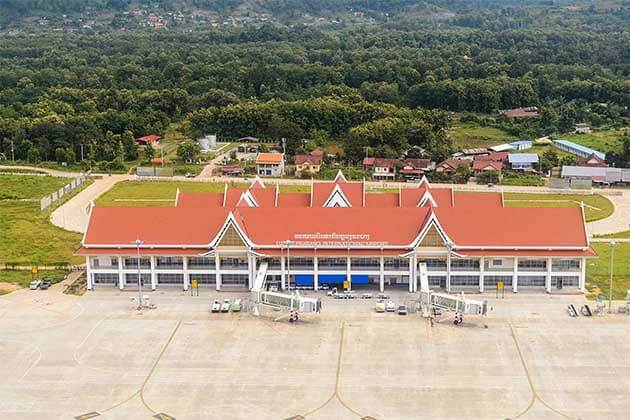 This trip gives visitors an opportunity to discover attractions that are off the beaten track and the lesser-known areas of Lao southern area. 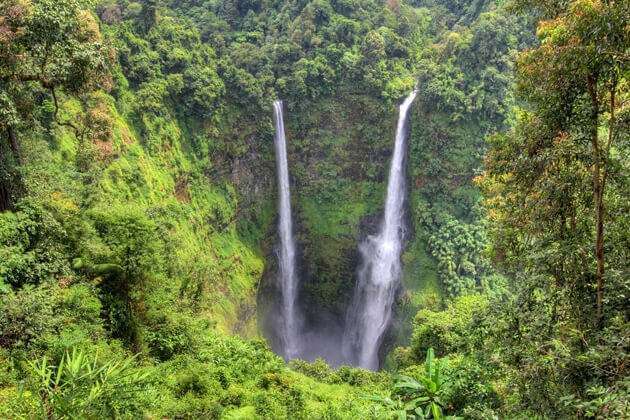 When we arrive at Tad Lo Waterfall, we visit the villages of Alak, Nge, and Katu, which are inhabited by Lao ethnic groups. We then return to Pakse late at night. After breakfast at the hotel, you are free to relax before taking your flight back home with the amazing memories of the trip fresh in your mind.